Meir Indor of Almagor organization welcomes progress in approval of bill to withhold terrorist salaries from PA tax revenues. 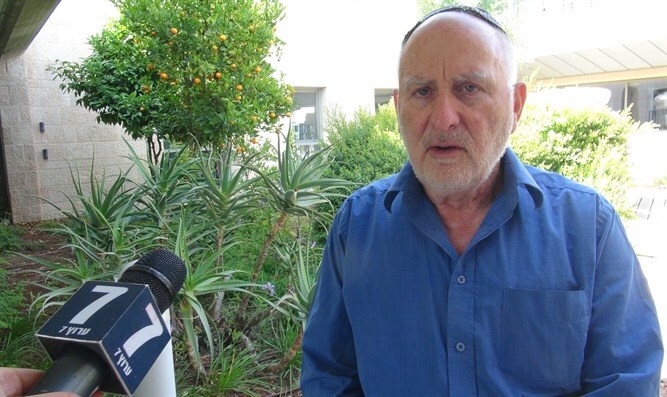 Meir Indor, head of the Almagor terrorist victims’ organization, discussed on Wednesday the progress that was made toward approval of the bill to withhold terrorist salaries from tax revenues Israel transfers to the Palestinian Authority (PA). The Knesset Foreign Affairs and Defense Committee earlier on Wednesday approved the bill for its second and third readings in the Knesset. The bill was approved by the committee without the clause requested by Prime Minister Binyamin Netanyahu and Defense Minister Avigdor Liberman that conditions the withholding on a decision of the political-security cabinet. “This is a message to terrorists that enough is enough. The people of Israel are changing their mind. The Knesset is changing its mind,” he continued.